This time it is only Fredrik that are traveling. This is an organized trip where everything are booked through a travel agent. I am a bit worried about traveling like this with no room for staying a day longer or changing plans if I don’t like it. But I guess that it will be fine. We will fly in to Santiago, Chile in the morning and spend the day there. Next day we will fly out to Easter Island (a five and a half hour flight) where we will stay for three days. 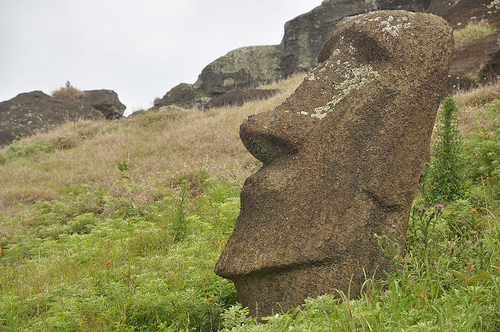 Easter Island is one of the world’s most isolated inhabited island in the world. We will fly back to Santiago and from there take a buss over the Andes, to Mendoza, Argentina. Where we will stay for two days. From Mendoza we will fly to Buenos Aires. We will stay in Buenos Aires for three days, where one of the days will be used for a day trip to Colonia del Sacramento, Uruguay. The two days left we will be out on the pampas relaxing on a country estate.